Ah Vampires. Out of all the horror movie villains (or anti-heroes), they’re the ones that seem to get reinvented the most (or is that zombies?) We’ve seen every imaginable take on vampires, and I think it’s because the vampire is often seen as an outcast, but a dangerous one at that. So, on the one hand, we feel bad that the vampire is shunned by man for being undead and whatnot, and on the other we see the vampire opening people’s necks for snack time. It’s a mixed bag, to say the least. The latest game to explore the world of vampires is Vampyr from developer Don’t nod entertainment. Published by Focus, Vampyr is an AA title. For those of you not in the know, AAs are titles from smaller studios, and they’re the ones that usually take more creative risks because they have smaller budgets and don’t need to sell more copies than Harry Potter just so the devs don’t go hungry. Vampyr is an action RPG, but unlike some of its other action RPG brethren, it has quite a bit of storytelling. Additionally, it relies a lot on your choices as a character. The splash screen at the beginning proudly announces that many of your choices will have consequences in the story. Now, the vampire deal has been done a buncha times before so I’m basically gonna be looking for tropes here and ticking them off as we encounter them to save time. The game opens with a bleak monologue about what death is and how death is basically the counterpart of life, etc, so we know things are super intense. Voice acting is competent, and while the writing is solid enough it seems to rely on a couple of clichés. The opening sequence does clue us in, however; London is undergoing some kind of strange crisis and nobody really knows what’s going on. They tried science, they tried religion, but the answers are still minimal. In the cutscene, we also gather that vampires exist in this world. The actual game opens – to an extent – in media res. You wake up in a pile of dead bodies and you weakly drag yourself out, possessing very little strength. Initially, everything is grey, and you find a glowing red silhouette. You hug the silhouette, who seems happy to see you, only to then turn on it and bite its neck. As our protagonist Johnathan Reid drinks the blood of the silhouette, the color pops back in, and it is then revealed that the silhouette was, in fact, his sister. Again, super intense. However, our protagonist doesn’t have much time to grieve, as angry men attack him and he is forced to run…for like 5 seconds, and then he finds a knife and starts fighting. This is where we get the first taste of the game’s combat system, which is a pretty open-and-shut stamina management action RPG deal. We manage to find shelter and Reid begins piecing together what happened. He tries to shoot himself and then the game starts for realsies. Vampyr is, through and through, a very grim title. It’s set in 19th century London, which is a pretty rough place even if you don’t throw in undead monsters. Aside from that, we’re in the midst of some manner of plague or apocalypse, so that’s just even more downery. Of course, it’s also a game about solving the mystery of what went on and coming to terms with your vampire-ness. A lot of the early game is based on the whole ‘what have I become’ shtick, whereby Jonathan tries to figure out what he is and basically learns vampire 101. Blood good, stakes bad, live forever, avoid sunlight, etc. Of course, the game really shines in how well it integrates your vampire status into gameplay. As the game progresses you unlock new vampire abilities, and pretty much every major vampire skill we’ve seen in stories and games before is present. While the action RPG system used to unlock these abilities is fairly basic, it’s also intuitive and easy to use. Combat, as I mentioned before, is fairly basic, and it revolves mainly around dodging attacks and using the lock-on feature to take down enemies. If you take certain kinds of damage (most notably damage from the sun turning you crispy) your health bar shrinks, so brush up on that vamp 101. You unlock new abilities, and you can charge up your abilities by draining enemies of blood during fights or by snacking on people when the mood strikes you (and also rats if you’re not squeamish). Of course, this brings up the game’s ethical component. Draining passersby is certainly the easy thing to do, but it’s not the right one to do. However, any kind of sympathy you have for your fellow man is quickly replaced by disdain when you realize that enemies respawn, meaning you’re gonna have to repeat a lot of fights. The other ethical dilemma pops up when we find out that Reid used to be a doctor. So now – irony alert – he heals with one hand and kills with the other. But I’d be lying if I said the latter wasn’t a lot more fun. While Vampyr wants to make some bigger ethical questions pop up in its story and make you ask what kind of vampire you’d be, the game shines the most in beefing you up and making you a much tougher undead vampire, and so that’s where you kind of lean. Our test was mostly done on PC but Nazih Fares also tried the console version of the title, on a classic Xbox One and an Xbox One X. The result was quite disappointing because although technically not very demanding, Vampyr is blocked on both generations at 30 frames per second, and can not hold that framerate during fights or when exploring areas which are a tad more detailed than the rest. Vampyr also has very long loading times, especially annoying after everytime your hero dies… Sorry but waiting for a checkpoint load which lasts 60 seconds per death on Xbox One and 40 seconds in Xbox One X is not a normal thing. Vampyr was reviewed using an Xbox One and PC digital download code provided by Focus Home Interactive. The game was tested on a PC running Windows 10, with an 8GB NVIDIA Geforce GTX 1070 fitted on a 4th Generation Intel i7 4790 3.6Ghz CPU and topped with 16GB of RAM. Vampyr is also available on PlayStation 4 via digital and retail store releases. We don’t discuss review scores with publishers or developers prior to the review being published (click here for more information about our review policy). 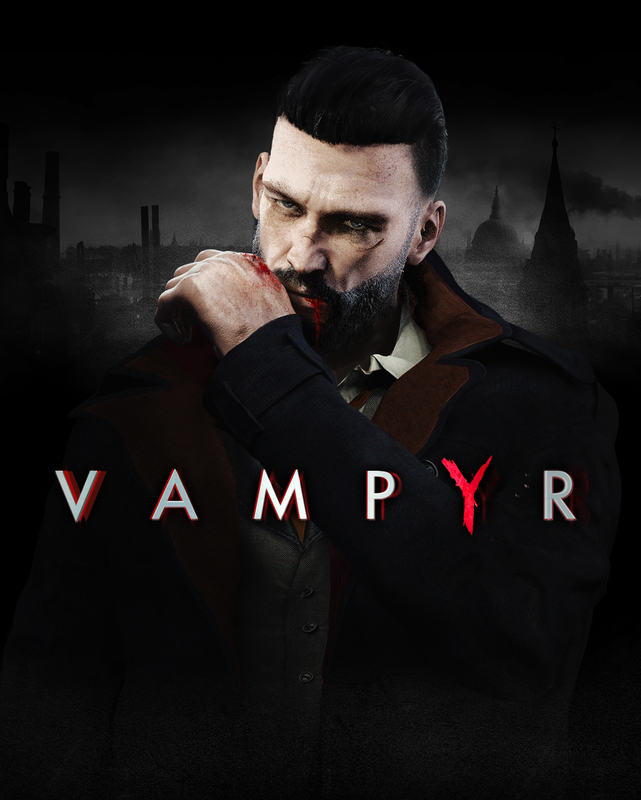 Vampyr is a fun action RPG that dives deep into horror lore to put you in the shoes of a brooding newly minted vampire who explores the dismal streets of Victorian London. You can build up an impressive array of abilities throughout, and by the end, you’re one tough undead fellow.